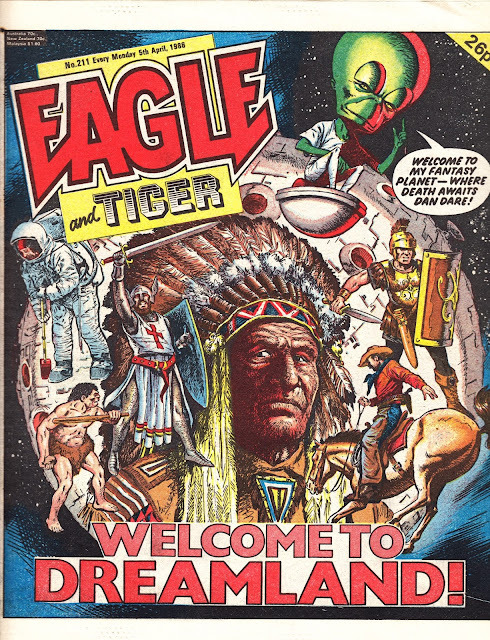 Another week... and another month of EAGLE covers dredged-up from the STARLOGGED vaults. 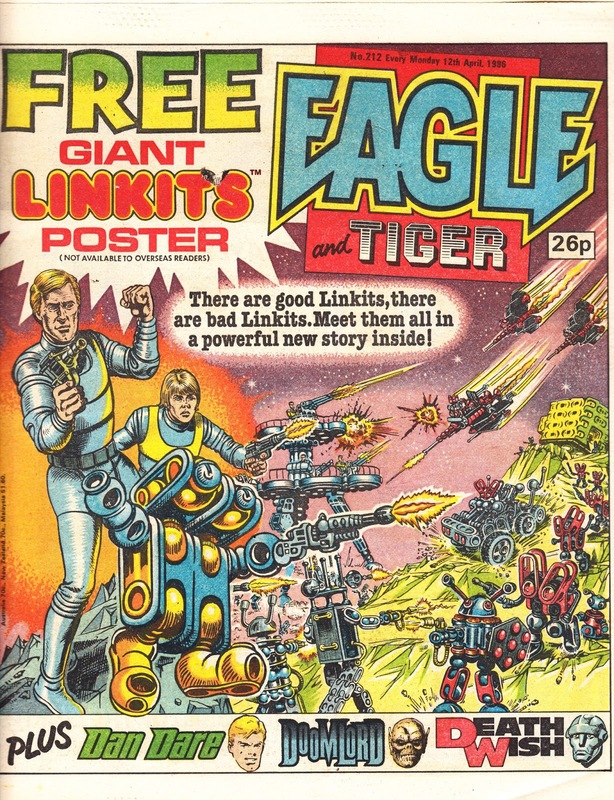 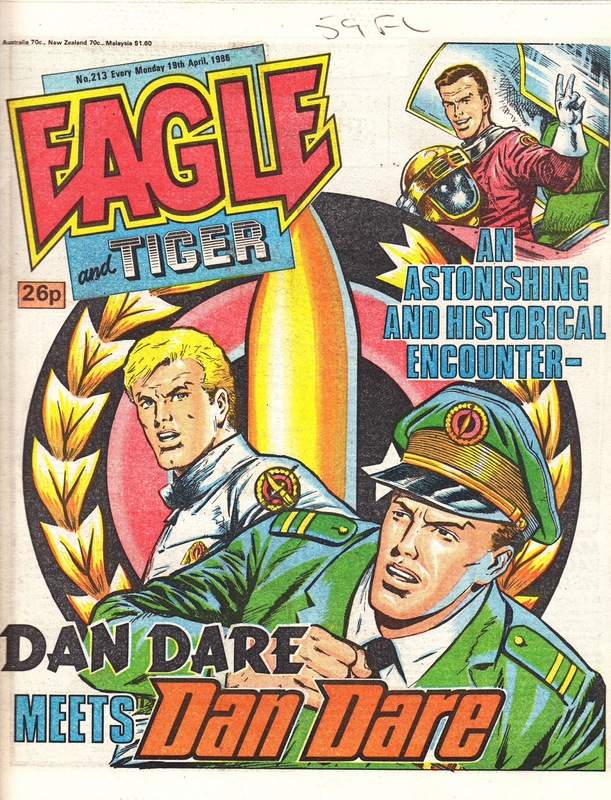 This time we're back to April 1986: when Daniel Dare met Dan Dare and IPC pocketed the dosh of another toy manufacturer with the launch of a LINKETS tie-in promotional strip. 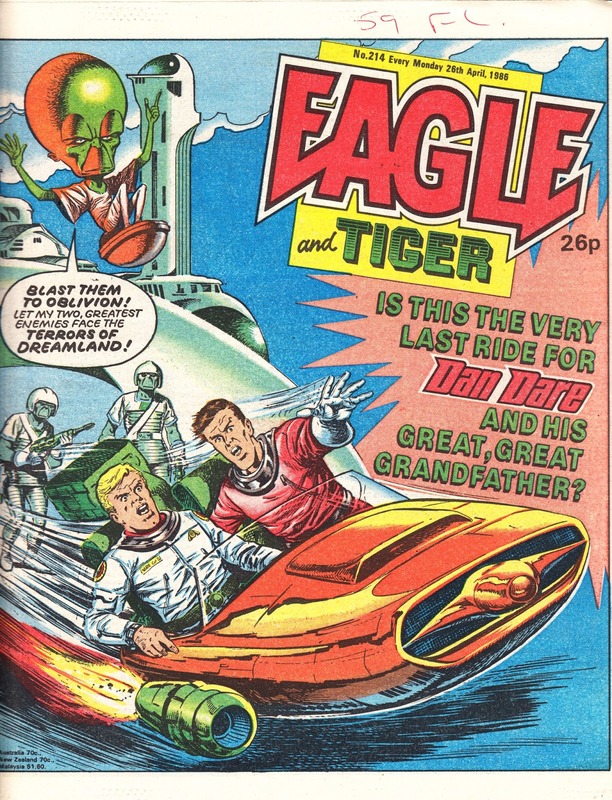 I think - at this point - we can safely say Marvel UK were still snapping-up the a-list licenses.